EARLY DETECTION OF OSTEOPOROSIS IN PATIENTS OVER 55 USING ORTHOPANTOMOGRAPHY. Faculty of Dental Medicine, Medical University - Plovdiv, Bulgaria. Osteoporosis is a condition characterized by a loss on bone mineral density and there is micro- architectural deterioration in bone tissue leading to fracture. The purposes of this study were to review the role of panoramic radiograph in routine dental treatment for an initial evaluation of osteoporosis and to discuss the reliability and accuracy of reported panoramic indices. We present to the dental society the Klemetti index (Mandibular cortical index- MCI). In this technique the inferior cortex both sides of the mandible, distal to the foramen mentale, is classified into three groups, according to the mandibular bone thickness, shape and porosity. C2- mildly to moderately eroded cortex, the endosteal margin has resorptive cavities with cortical residues one to three layers thick on one or both sides. Patients having positive findings related to MCI should be evaluated further for potential risk of osteoporosis and could be referred to a medical specialist for densitometry. In conclusion, valuation of mandibular cortical index (thickness and shape of inferior cortex of mandible), measured from panoramic radiography was a simple technique in osteoporosis screeming of dental patients, giving the maximum benefit of being radiographed. Key words: Mandibula, Klemetti index (Mandibular cortical index- MCI), Panoramic radiography, Osteoporosis, Dental treatment. 1. Alexandra Lozano, Anna-Maria Borisova. Endocrinology. Sofia; Marin Drinov; 2000; 1100. 6. Kositbowornchai S. Osteoporosis Detection on Panoramic. 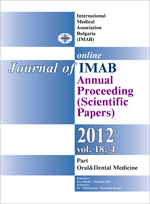 Journal of the Dental Association of Thailand 2009 Oct-Dec;59(4). 213-221.